It’s not that a plain old binding won’t do. Or maybe it is! But when it came to finishing my quilt about time, a binding just didn’t seem like the right choice. 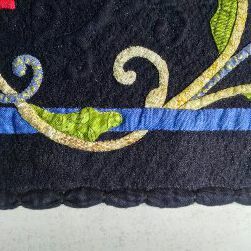 I wanted the royal blue fabric frame to be the essential outside edge, with just enough black background fabric to support the appliqué that appears to twist over and under it. A binding felt like an interruption. I had (just) enough excess black background fabric to turn it over to the back. 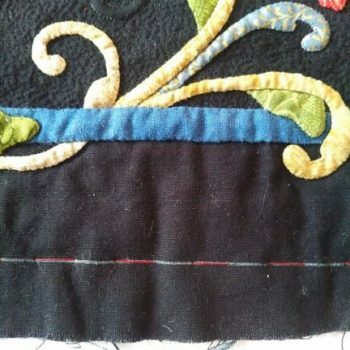 I measured the quilt and marked the outside edge with white chalk, then basted the marked line using red thread. 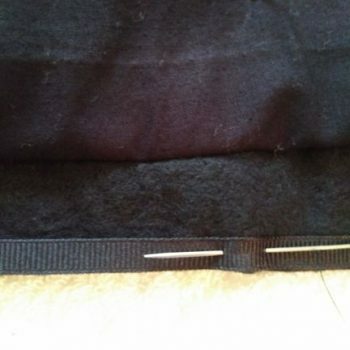 I folded the black background fabric back along the basted line so that I could trim away the excess batting and backing fabric. Yes, this was terrifying. 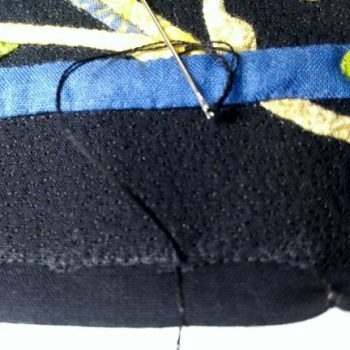 Then I hand sewed 1/4″-wide ribbon along the cut edges to stabilize them. 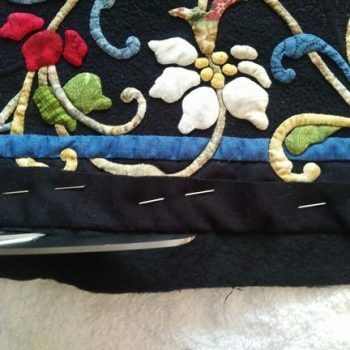 The black fabric was then turned to the back and hand-stitched to the backing fabric. Now I could go back and finish the micro-stipple quilting. 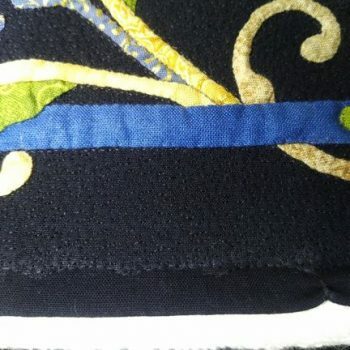 But I knew I couldn’t quilt right to the very edge, so should I leave a 1/4-inch straight line? 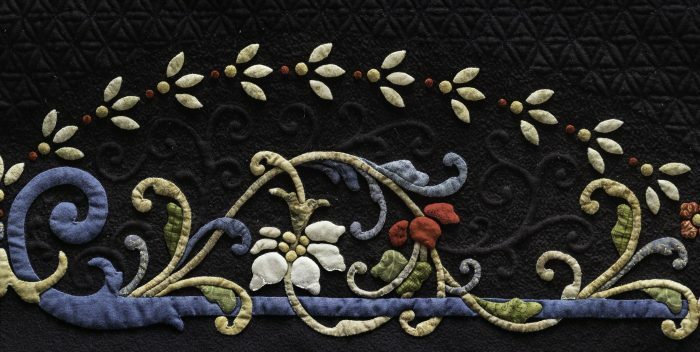 What if I quilted a scalloped line, like the flower of life motif I had used as a background fill? … and pulled it tight? And that is how the quilt ended up with a scalloped outside edge.